Sandhya Drew graduated in English & Modern Languages from the University of Oxford. After teaching at the University of Bologna for two years, she was called to the Bar of England and Wales in 1993 after study at what is now the City Law School. Sandhya practised full-time for the next twenty years from Tooks Chambers, with a successful practice in national and international employment and public law. She acted for her clients at all levels up to the then House of Lords and the European Court of Human Rights, including in a case which led to the enactment of the Modern Slavery Act 2015 and in other jurisdictions including India. Latterly, she was engaged as a Consultant on Forced Labour by the International Labour Organisation. Sandhya is a CEDR Qualified Mediator with specialist skill in workplace and sports disputes. Sandhya is an Associate Fellow of the Academy of Higher Education and taught law at the University of Surrey, the University of Law and the University of Portsmouth prior to joining City Law School in January 2019. 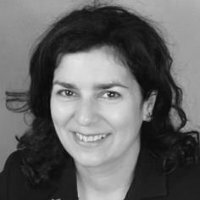 She is a Visiting Professor on the University of Paris Nanterre’s Joint Postgraduate Degree in French Law and Common Law. At City, she currently teaches BPTC students how to develop the key skills of Civil Advocacy and Drafting.